At TOS, Captain Ernst has been a Harbour Tug Captain for many years. 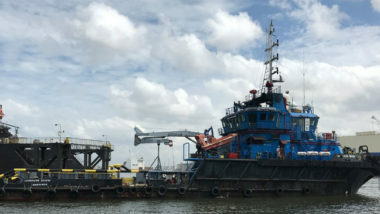 Before that, he worked as Captain on seagoing tugs, is experienced with single and double tow, anchor handling and rig moves and was once Captain in the dredging sector. Over the last few years, he also worked as a marine warranty surveyor. Clearly a man of many talents. After his first time conducting a ship delivery and a sea trial at TOS, Captain Ernst was hooked! Now he combines his work as Captain with a Superintendent job at our Ship Delivery Department. ‘As Superintendent, you are the point of contact for the client on behalf of TOS. You work on location, making arrangements to ensure that the ships are seaworthy, and the crew is comfortable and equipped for the voyage. You have to stay alert, come up with solutions and make sure the crew has all they need to set out to sea. It’s wonderful work with a high level of job satisfaction. Earlier this year, Captain Ernst arranged the departure of the Afrik Magpie with a double tow from Lagos (Nigeria) to Astakos (Greece). ´All ships are relatively young in terms of European standards, just 10 years old. All systems and equipment had been maintained for a long time according to the Nigerian standard. So, as you can imagine, a ten-week voyage with a double tow needs considerable preparation and testing. Captain Jan and the Chief Engineer inspected the ships. 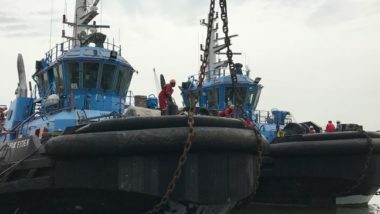 The Tow Surveyor also looks everything over and reports what needs to be done in a set of binding requirements for the tug boat, the towed tugs and the towing wires. So, there is a lot for me to arrange and organise. Also, storage and bunkering are among my responsibilities. It is a challenging assignment in this part of the world, which demands time and a flexible mind set. Providing practical solutions requires a MacGyver* mentality and that suits me just fine! You’ve got to roll up your sleeves and make it work. A nice part of the assignment was also the trial for the Afrik Magpie. Together with the existing crew, we tested the ship to avoid taking any risks. During the test run, we get the engines running up to full power until everything is shaking and vibrating. We had a big puff of smoke here and there, but the engine and the steering gear were in good order! 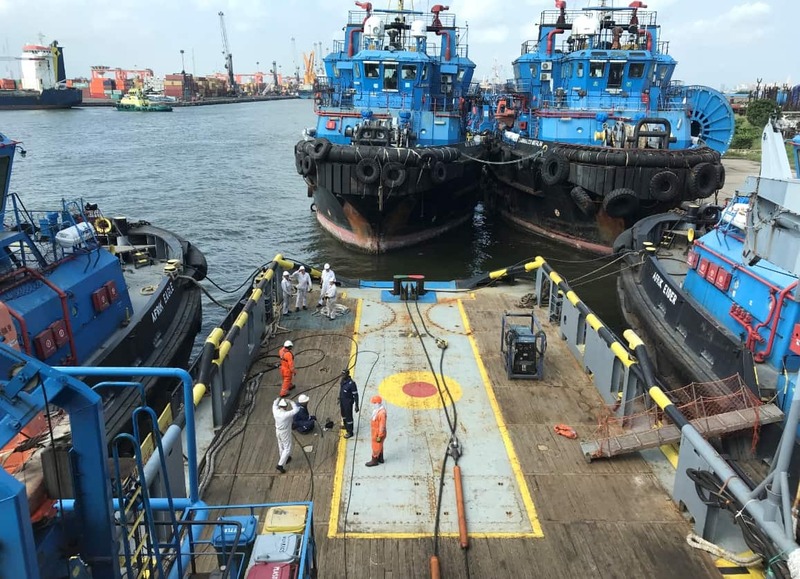 This assignment was a great success and the preparations for next double tow delivery have already begun. I’m glad to be part of it again! With these types of assignment, everything falls into place: my experience as a harbour tugboat captain and my work as surveyor. It is great work and my contact with the Ship Delivery Department, and with Sales Manager Ship Delivery Rolf Kievits in particular, is good. *) For the younger readers: MacGyver is an American action-adventure television series. The show ran from 1985 to 1992. MacGyver solves complex problems by making things out of ordinary objects, along with his ever-present Swiss Army knife, duct tape, and occasionally matches. We are experienced in the relocation of all types of vessels. 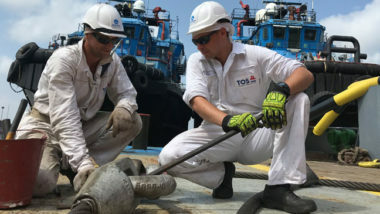 For an all-in price and with clear terms and conditions, we can take care of flag state registration, certification, ISM and instruction of the new crew in preparation of handing over the vessel.